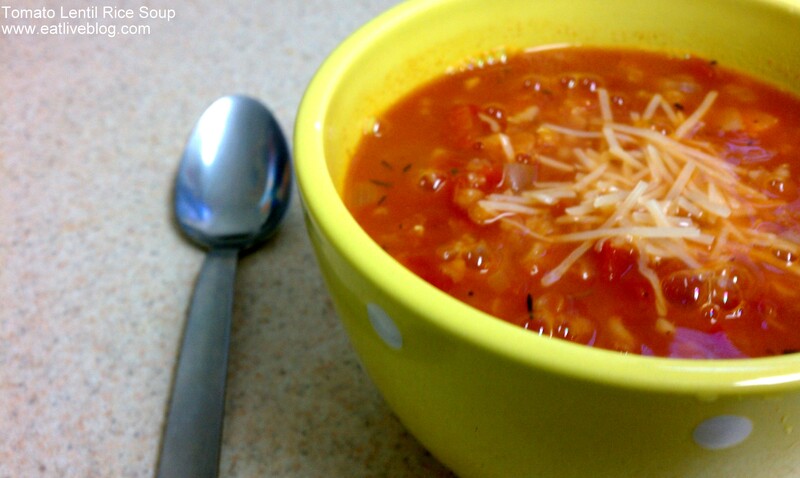 I originally started this post this summer, the first time I made this soup. But it just seemed sacrilege to post a soup recipe in the summer. Well, this week there is definitely a nip in the air, and tomato soup and grilled cheese seem like the perfect match to the weather! Several months ago, I was honored to set up a brunch for the Boston Brunchers at Scollay Square with the author of the Mom 100 Cookbook, Katie Workman. Katie was delightful, and the food was delicious, but I left the brunch thinking, “Man, this cookbook is certainly not for me!”. Lara wrote a post about a recipe she made from the book, and how it surprised her (being a skeptic) as well. So I took her advice and started flipping through the book. In addition to an asian marinated steak, chicken enchiladas and cauliflower cheese soup, the Tomato Soup recipe really stood out to me. 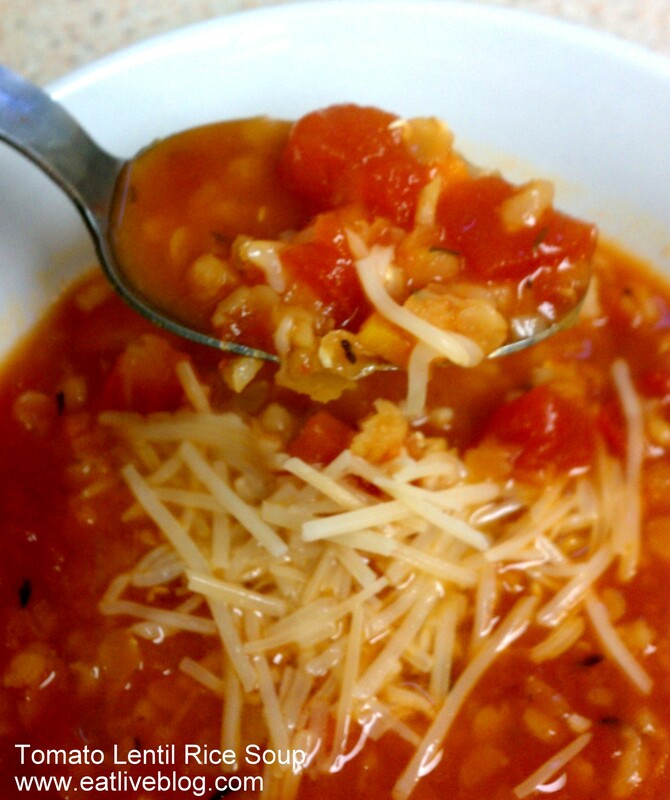 I had been on a lentil streak, and we are always on a tomato soup streak, so this was right up my alley! The recipe did not disappoint. It was simple to make, I had all of the ingredients on hand, and with a couple small tweeks, it has become a favorite around our house. Heat a large stock pot and place chopped bacon in pot. Cook until crispy. Using a slotted spoon, remove bacon and place on a paper-towel lined plate. Add onions and carrots. Cook over medium-high heat until carrots become tender (about 5 – 8 minutes). 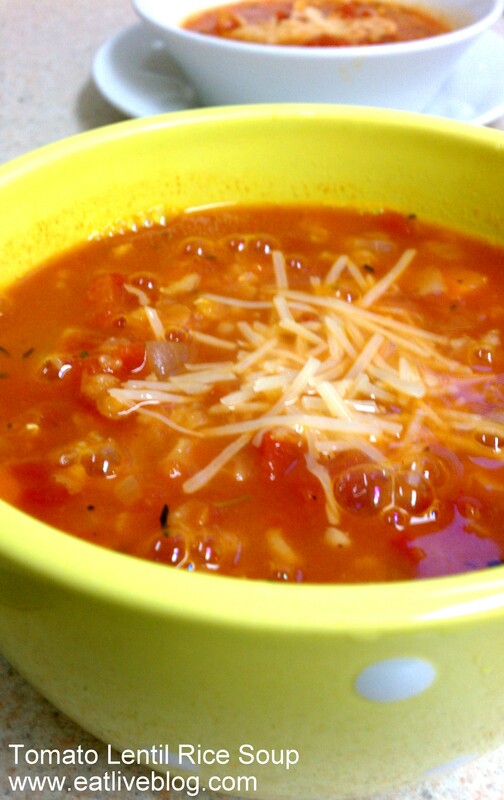 This entry was posted in Recipes and tagged fall, recipe, soup, tomato soup by reneeh. Bookmark the permalink. This recipe sounds great! The vegetables seem to give the soup a nice variety of textures – much better than the thin stuff I never liked as a kid. Plus, I love a recipe made with ingredients I already have in the house.